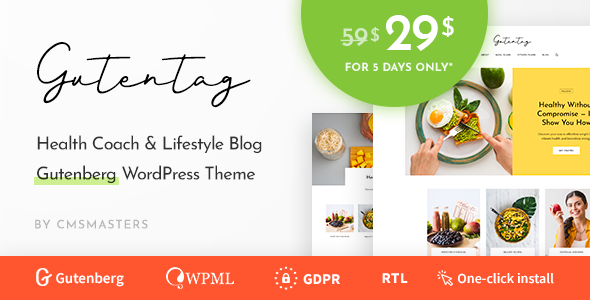 Guten Tag Blog is a modern and clean Blogging WordPress Blog theme based on Gutenberg page builder. Unlimited design solutions can be created due to a great flexibility of settings and blocks options. Gutenberg is an essential blogging tool recently introduced by WordPress team – anything a blogger needs to write a blog post is in-built inside core functionality. Guten Blog theme has added a careful and professional styling, to make sure your blog posts have a perfect backend and frontend appearance. Along with this, we integrated some extended Gutenberg-based blogging functionality, so that you could create diverse and eye-catching content. Intuitive and user-friendly Gutenberg website editor is extended by the Ghost Kit – Blocks Collection plugin to gain more control over your content, and Kadence Blocks plugin for custom column layouts, backgrounds, dual buttons, icons etc. Visual Portfolio let you create beautiful blog and portfolio layouts that offer an optimal way to present your content. Advanced WordPress Backgrounds plugin let you use parallax backgrounds with images, videos, YouTube and Vimeo. 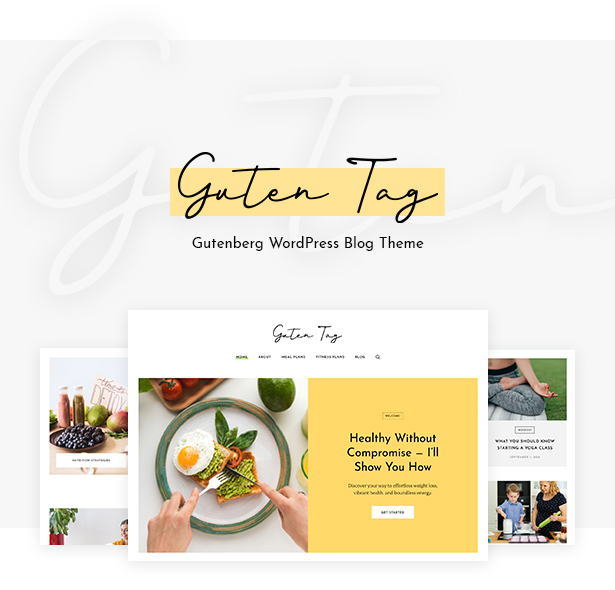 Guten Blog comes with a Custom Mega Menu plugin, Custom Fonts plugin, and premium Revolution and Layer Slider plugins included for free. The theme comes with 4 different homepage layouts right out of the box. 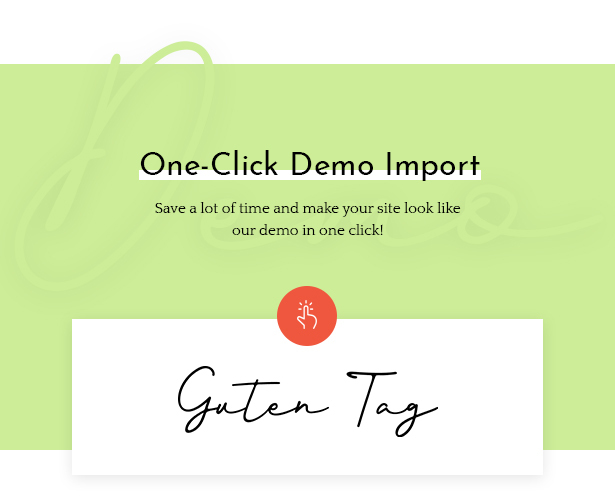 With one click demo import you can save a lot of time and easily make your site look like our demo. Multilanguage, RTL-ready, plugin-compatible and professionally-supported theme. 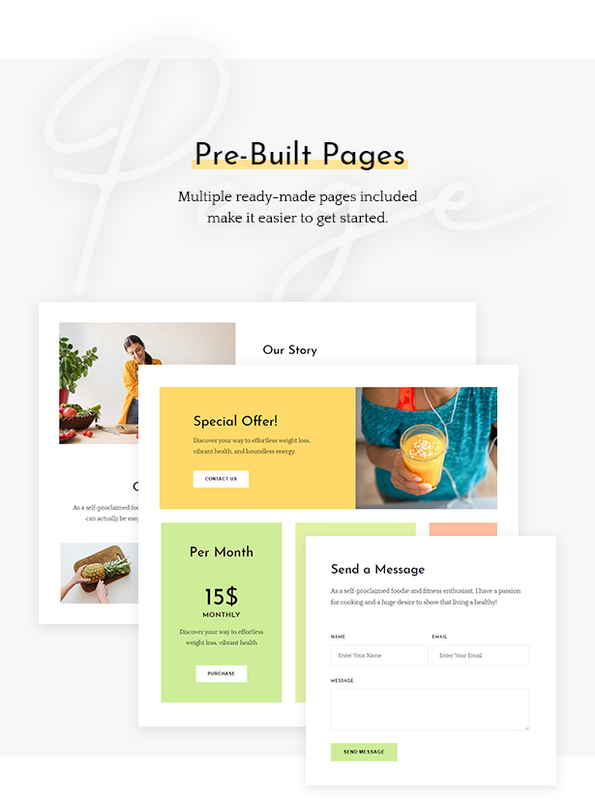 Beautiful typography, extremely simple customization, valid code and SEO-optimized structure – this theme is perfect for blogging. 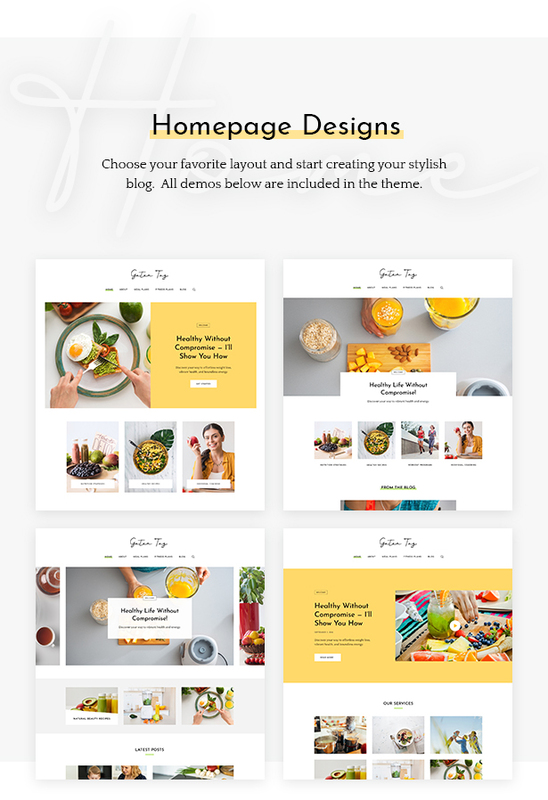 Theme niche is blog, Gutenberg, block editor, blogger, blogging, clean, creative, modern, journal, lifestyle, magazine, personal, photography, simple, travel and other blog theme niche. Custom Admin panel – we have greatly extended initial WordPress admin to provide you with more functionality that includes a wide variety of options and settings and provides maximum customization flexibility to help you create the blog website. Ghost Kit Addon – it is a blocks collection and powerful extensions for Gutenberg block editor. Layer Slider & Revolution Slider – this Gutenberg WordPress Blog Theme comes with two popular slider plugins included, a Layer and Revolution Slider, both have supreme functionality and breathtaking effects. No need to purchase them, it’s all in! 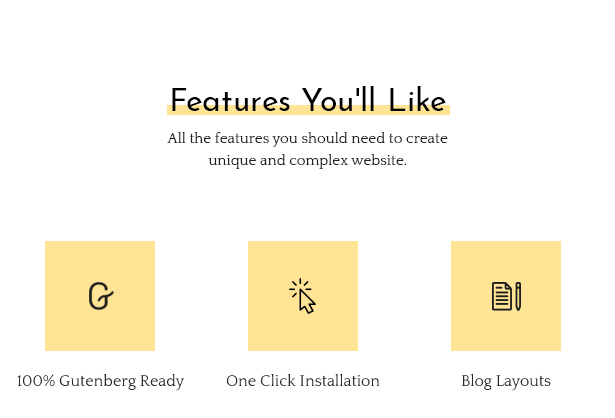 Kadence Blocks – Gutenberg Page Builder Toolkit – Advanced Page Building Blocks for Gutenberg. Create custom column layouts, backgrounds, dual buttons, icons etc. Visual Portfolio plugin – Generates shortcode to show portfolio or any custom post types using Masonry, Justified, Tiles or Carousel layouts. Advanced WordPress Backgrounds * – let you to use parallax backgrounds with images, videos, YouTube and Vimeo. Google Fonts* – Hundreds of Google fonts let you customize website appearance completely, they are easy to add and can be used anywhere. 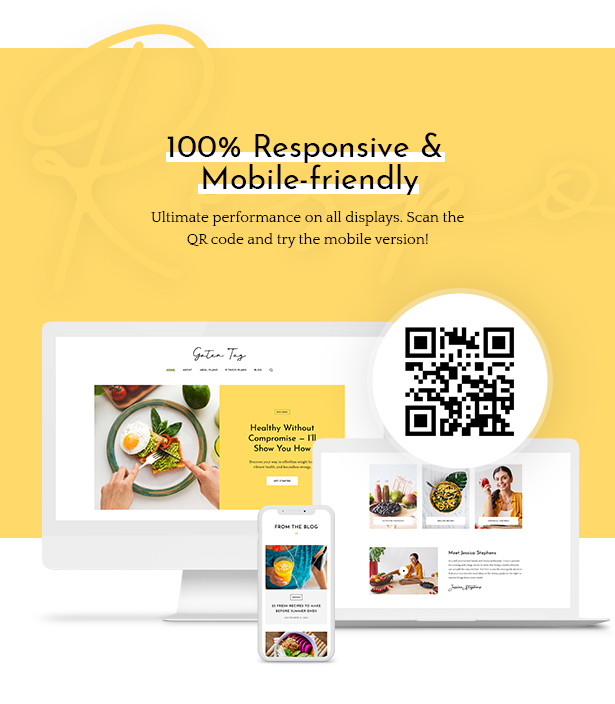 Responsive Layout – Guten Blog – Gutenberg WordPress Blog Theme has a responsive layout that will respond to your screen width and make content appearance be perfect on all devices, from large desktop screens to mobile phones and tablets. Advanced SEO for WordPress – this Guten Blog theme has an optimized code and structure, as well as fantastic Custom SEO options for every page and posts, allowing you to easily add important SEO meta data to all your website content. Custom Mega Menu plugin – Choose columns and place your menu items. If you need to create any kind of the WordPress blog website, Guten Blog Theme will do the work for you.